“It was a decision the Legion arrived at gradually, after years of support. What changed the Legion’s mind was the accumulated effect of VA performance breakdowns across the country, coupled by the glaringly obvious failure to hold senior executives accountable for mounting numbers of preventable patient deaths, long-delayed medical care, and other critical management failures. “Adding salt to the wound, VA continued to reward incompetent senior executives with bonuses paid for by taxpayer dollars. “Dellinger noted two of the most recent revelations that finally convinced him that top VA leadership in Washington needed to change: allegations that the Phoenix VA medical center kept a secret list of patients waiting months for medical care, which was linked by CNN to preventable deaths of about 40 veterans; and findings by a VA investigation that workers at the VA clinic in Fort Collins, Colo., had been instructed on how to falsify appointment records. “An audit of the Fayetteville VA Medical Center found its employees did not complete required suicide-prevention follow-ups 90 percent of the time for patients at high risk. “Six patient deaths were linked to delayed screenings for colorectal cancer at VA medical center in Columbia, S.C.
“Five patients died and 16 more became seriously ill at the Pittsburgh VA medical center from an outbreak of the Legionella bacteria that was caused by human error. “Three patients died while waiting for gastrointestinal treatment at the VA hospital in Augusta, Ga., which had an appointment backlog of more than 4,500 patients. “Four preventable deaths occurred at the Atlanta VA medical center among patients being treated for mental-health issues. Three Republican senators have also called on Shinseki to step down, but the White House expressed support for the secretary. Press Secretary Jay Carney told reporters on May 5, “As the president said last week, we take the allegations around the Phoenix situation very seriously. That’s why he immediately directed Secretary Shinseki to investigate. And Secretary Shinseki has also invited the independent Veterans Affairs Office of the Inspector General to conduct a comprehensive review. Shinseki issued the following statement on May 1: “We take these allegations very seriously. Based on the request of the independent VA Office of Inspector General, in view of the gravity of the allegations and in the interest of the Inspector General’s ability to conduct a thorough and timely review of the Phoenix VA Health Care System (PVAHCS), I have directed that PVAHCS Director Sharon Helman, PVAHCS Associate Director Lance Robinson, and a third PVAHCS employee be placed on administrative leave until further notice. 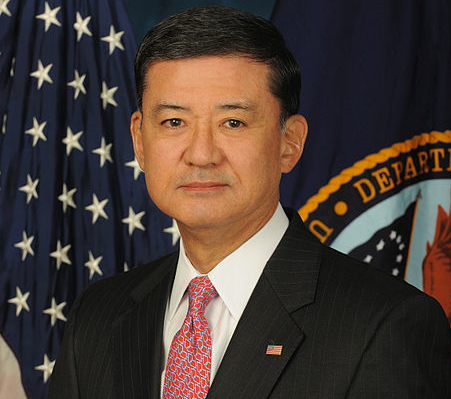 A Vietnam veteran, retired Army four-star general and former Army chief of staff, Shinseki has served as VA secretary since 2009.